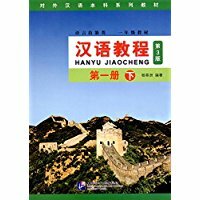 We ship books by China Postal Service or DHL. China Postal Service provides five shipping methods: Surface Mail, Airmail, Sal, Global Priority Mail and EMS. We normally use China Postal Service for our shipment. If you wish to use DHL, please tell us at Special Instructions or Comments About You Order at Check Out when you place an order, we will contact with you and adjust the charge accordingly. The Amount of time your order will take to reach you depends on the items you're ordering, and where and how you want the order shipped. Item available on our website are normally sent on the first business day after you order them. Surface Mail normally takes two and half months to Europe and three months to Australia, United States, Canada, and other North & South American countries. Asian countries are generally quicker. Airmail takes 2-3 weeks to most of the countries. SAL is economy airmail, takes 2-4 weeks. However, this shipping method is not available with some of the countries. EMS is an Express Mail Service. It only takes 1 week. The rates for some of the countries are not available online, please contact us to enquire the specific rate. It might happen that your country is not included in our shipping zones, and you will encounter problems at step 2 in the Check Out procedure when you place an order, please contact us for your country's shipping rate. If you selected EMS or DHL as your order's shipping method, you can track its process after it has shipped. To do so, please go to www.ems.com.cn or www.dhl.com.cn, enter the shipping number which we will provide you after the order is dispatched. Other shipping methods is not tracktable online. However, all these shipping methods are registered with a postal number, both you and us can track the shipment from the post office. The process will take some time. By weight. As we ship world wide, the shipping rates vary from country to country. In general, surface mail has the cheapest rate, sal and airmail is moderate, DHL can be very expensive. You can click on Estimate Shipping at your shopping cart to find out the cost. Becasue most of the orders are international, all the parcels are required to be insured and registered. The shipping rates include the cost of insurance and registration. DHL, by Weight and Region. Please email at sales@mandarinbooks.cn to ask the rate for your specific region. When multi-volume sets, exceptionally large or heavy books are ordered, or shipping to countries with less frequent traffic, additional shipping charges may be assessed. We will contact with you if such a charge will be applied to your order. Order coming from China, please provide your mail address in Mandarin Chinese Characters if possible. This will prevent delayed delivery time or even failed delivery. We recommend EMS or DHL. EMS, one week. DHL, 3-5 business days. Product items delivered to incorrect addresses supplied by the customer.